There’s been call for some 8-way coaching events this year. 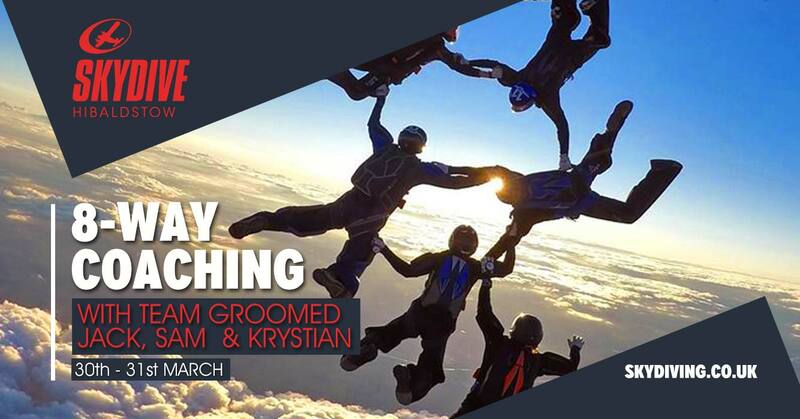 We’ve listened, we’ve reached out and here’s the first with Team Groomed! At the dropzone, we will have team members Jack Davies, Sam Cavendish and Krystian Groom there to do some structured 8way action. They will help with the 8-way basics, formations and most importantly, how to get an 8-way block to launch successfully. If you already have a team, please signup on their Facebook event page and send one of them a message letting them know what you are after. If you don’t have a team, also sign-up and they will assemble groups for you. Facebook event to find out more.